If you are having a hard time choosing between the Human Touch XT2 and the Osaki OS-Pro Maestro massage chair, we can’t blame you. That’s because both chairs are packed with the most advanced technology and boast of features that truly make them the best in the industry. The XT2 makes use of a Flex three-dimensional massage technology. It is called 3D because the rollers push further making the massage intensity stronger. With 5 intensity settings that you can adjust, you can get a fully enveloping massage with the right pressure. 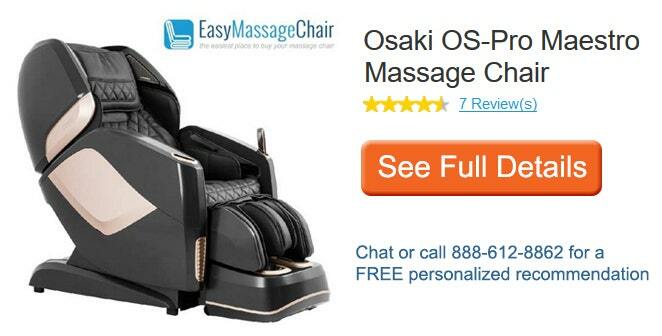 On the other hand, the OS-Pro Maestro has a superior real 4D massage. When its back rollers sense a tensed muscle, they will slow down to apply more focus and pressure, spending more time on that area. It has 8 different adjustment levels to suit your personal preference. Both chairs combine both the S and L track system, which gives you a massage that moves with your natural body curves. The S-track follows the curvature of your spine while the L-track extends the coverage of the massage up to 50%, starting from your neck, down past your lower back and all the way to the back of your thighs. The OS-Pro Maestro has a space saving capability that allows you to maximize your living space. It only needs 5" of space between the chair and the wall in order to recline. However, the Human Touch XT2 only requires 2" of wall clearance, saving you even more space. One thing the OS-Pro Maestro has that the XT2 does not is a body scanning technology. The chair scans your body to map key areas on your neck, back, and shoulder height. This ensures that the right amount of pressure will be applied during the massage. The chair’s ottoman also scans your leg to ensure optimal leg length for your height. The foot component can extend up to 8". Leg scanning and extension is also available in the XT2. The OS-Pro Maestro features 8 unique automatic massage programs that you can choose from. However, the XT2 has 35 of them and this includes full body immersion, deep tissue as well as several therapeutic relaxation and recovery programs. Both chairs have manual massage programs that target specific areas. The OS-Pro Maestro has 4 manual programs while the XT2 has 6. Both chairs also provide heat therapy to the back. The XT2 has dual lumbar heat while the OS-Pro Maestro boasts of having the most advanced heating system with the rollers themselves heating up like hot stones. Both chairs allow you to defy gravity with the zero-gravity position. 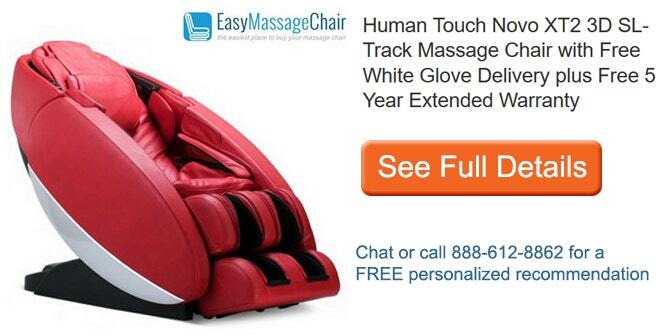 It cradles your back, giving you the perfect position to experience ultimate relaxation. The XT2 features a "bend and stretch" functionality that provides you with leg and spine relief. The OS-Pro Maestro does not possess this feature. Both chairs have multiple airbags located in various key areas to help increase blood circulation and relieve pain and tension, giving you a full body massage. The XT2’s Cloud Touch acupressure massage comes from 36 airbags while the OS-Pro Maestro only has 32. The XT2 has under-foot rollers with adjustable intensity for calves and feet. The OS-Pro Maestro also has rollers to provide foot and calf kneading massage. In addition, though, it has an air massager on the upper section of the leg rest that rotates, adding another dimension to the calf massage. It also has components that stretch and massage the bridge and heel of your feet. Both have remote controls that have an LCD screen. However, the OS-Pro Maestro's remote is simpler and sleeker with only 4 simple buttons at the bottom - home, recline, incline, and auto. Other settings can be accessed on the touch screen. 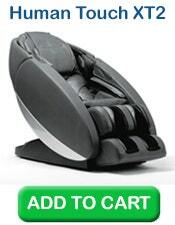 Quick control is also available on the OS-Pro Maestro’s armrest. Both also have a downloadable app that you can use to control the chair's features. Both have a USB outlet that you can use to charge or connect your device. The OS-Pro Maestro is also equipped with Bluetooth and amphitheater sound system. However, the XT2 boasts of an Altec Lansing Premium Sound System with built-in nature sounds and narrated demo walks of the chair's features. With these features, it is clear that both chairs are winners. Choosing one will now boil down to color and price. The Human Touch XT2 is available in black, red, gray, cream, and espresso SofHyde and retails at $ 8,499.00. On the other hand, the Osaki OS-Pro Maestro is priced higher at $ 8,999 and is available in black, brown, beige, navy blue, pink, and burgundy. Take your pick and call us at 1-888-612-8862 to order and exclusive deals.